I had to make them. I couldn’t take it anymore! 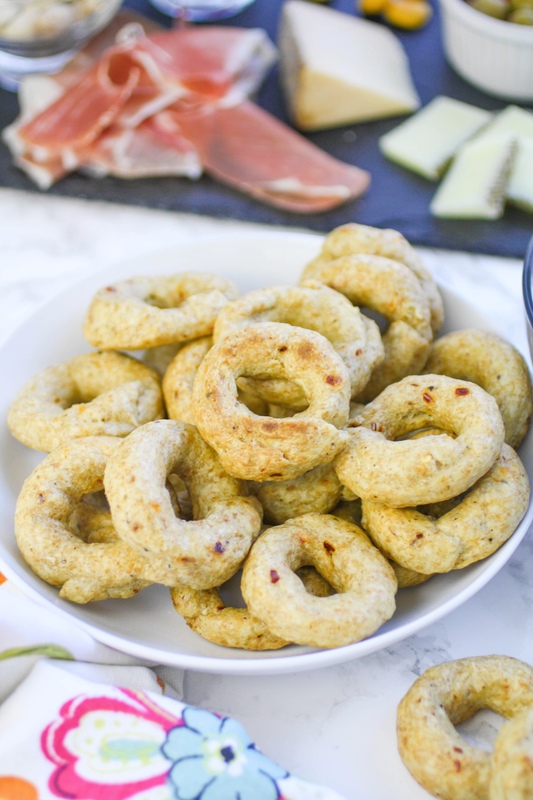 Taralli are like a combination of a breadstick and a hearty cracker, with maybe a little bit of hard pretzel thrown in. They’re crispy on the outside and softer on the inside to make an ideal snack. I’ve made crackers at home before, and it’s really easy! These Fig and Rosemary Crackers are buttery and flaky and totally amazing! Try them for your upcoming holiday get togethers since they’re so easy to make. 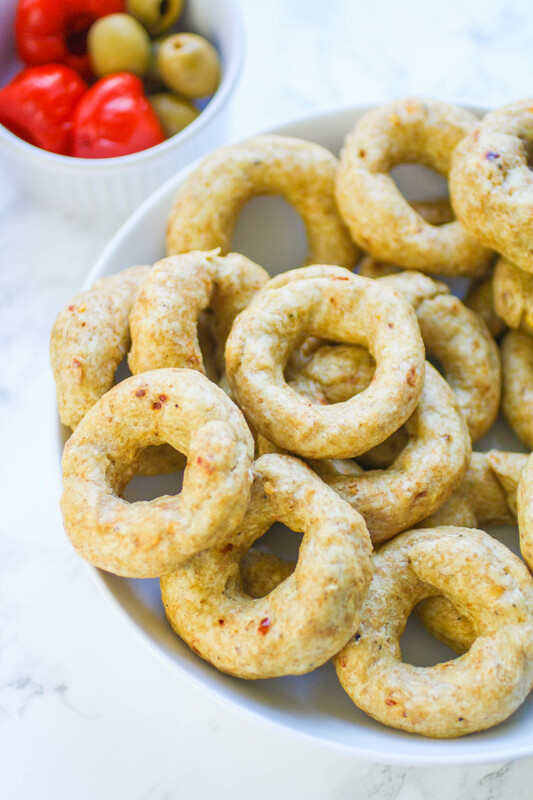 My uncle’s family used to make these breadstick rings with fennel seeds (that’s the traditional way to make taralli), and they were shiny on the outside and SUPER crunchy. Another traditional version is to use ground black pepper. I used both black pepper and red pepper flakes in this recipe for a bit of a kick. Our extended family would visit us in Akron, Ohio, making the 90-minute drive from Pittsburgh (or “Pitts-a-burg” as my family would say), and of course they never came empty handed. They would bring all sorts of baked goodies (in large quantities!) that I still dream about. 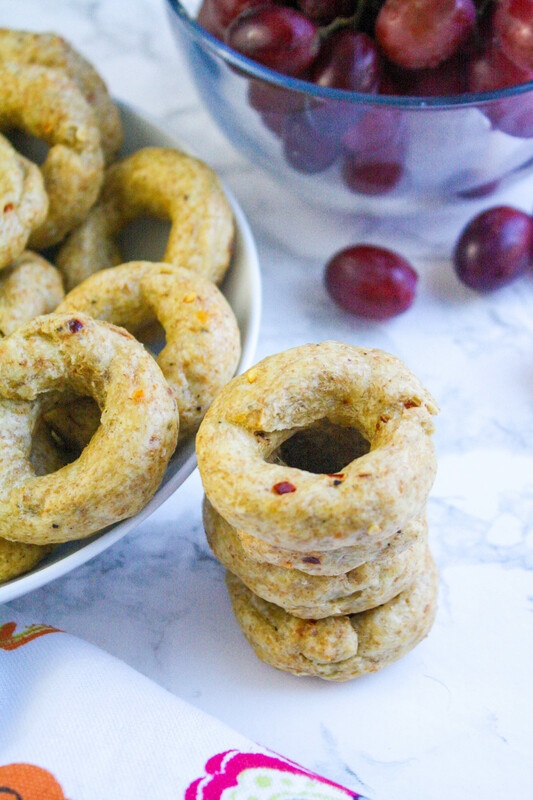 My Red Pepper Italian Taralli are really tasty and perfect to serve with an appetizer plate, an easy antipasto, or just a glass of wine — anything, really. My taralli didn’t turn out shiny or super-crunchy like the breadstick rings from childhood, but my dog and I can vouch for their tastiness. Oh yes, we can! My mom was visiting recently and on her last day in town we decided to make a batch of taralli. They turned out great, and I bagged up the ones we didn’t eat and left them on the counter. No biggie. The next day, I tucked our eight-month-old German Shepherd pup into her kennel and drove my mom to the airport. When I came home my dog greeted me AT THE DOOR. This wasn’t her first escape, so I shouldn’t have been too surprised. Then I saw the disaster: there was stuff strewn everywhere in my house! Literally everywhere. In addition to the mess, I noticed the dog got into my taralli! She had also dragged a bag of cookies to our bed to eat, dipped into some leftover Halloween candy, washed it down with half a cup of coffee from the counter, then pooped in our office, naturally. Ugh! After a thorough clean up, I was baking myself another batch of taralli! If you’re looking for an *actual* dog treat recipe, try my Pumpkin-Peanut Butter Dog Biscuits. It’s all good, though. 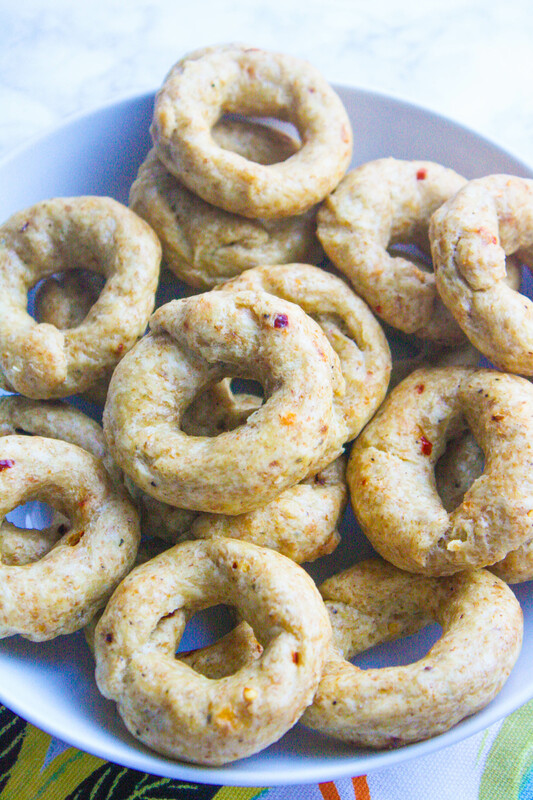 Red Pepper Italian Taralli are so easy to make I didn’t mind a little extra work. Make a batch yourself to serve as a snack, or with a cheese platter. 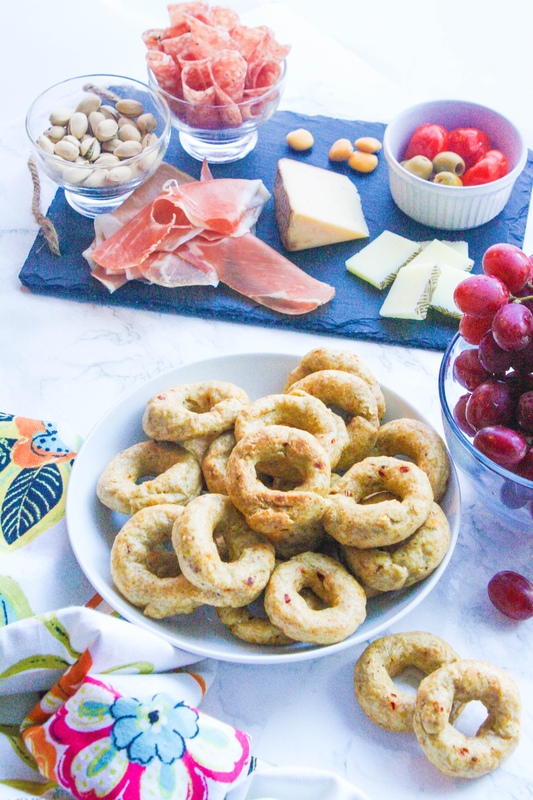 You’ll love these little Italian breadstick rings! Line a baking rack with a clean cotton towel and set aside. In a large bowl, whisk the dry ingredients together. If you’re not using whole wheat flour, use 3 cups, total, of all-purpose flour. Add the white wine, then 1/2 cup of olive oil and mix with a wooden spoon to combine. Dust a flat work surface with a bit of flour. Transfer the dough mixture to the surface. Knead the dough for several minutes. Add the remaining teaspoon of olive oil to your mixing bowl. Transfer the dough back to the bowl and cover it with a clean towel. Allow it to sit, covered, for about 30 minutes. Pinch off enough dough to form a 2-inch ball. Roll the dough between your hands into a rope shape about as thick as your finger, and 4-5-inches long. Form into a wreath shape and pinch the ends together tightly. Preheat the oven to 400 degrees F. Line two baking pans with parchment paper and set aside. Fill a large pot about half way full of water. Add a big pinch of salt and bring the water to a boil. Carefully add four taralli at a time to the boiling. They’ll cook for a few minutes until they begin to turn and float to the top. Use a slotted spoon to remove them from the water and transfer them to the baking rack. Allow the taralli to dry completely before adding them to the parchment-lined pans. Bake for 30-35 minutes until lightly golden. Remove from the oven and allow the taralli to cool before serving. After I made the taralli, I read a few other recipes that said to allow the taralli to dry for several hours after removing them from the water to make them shiny. I didn't test them that way, so I can't say that's what happens for sure. Even if they're not shiny on the outside, they're delicious! These are something I've never had before - they look delicious! I love childhood foods that bring back memories. I do too, Amy! Thanks so much for stopping by! I love your board! 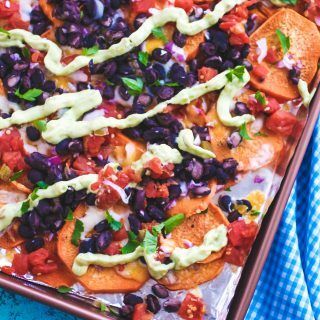 I need to try this - looks amazing and delish! Thanks so much, Jenna! Enjoy! These beautiful Italian breadstick rings are so happy and festive! They're the ideal accompaniment to cured meats, and a variety of fruit and cheeses. Thank you so much for this fabulous recipe! Oh wow this looks yummy and fairly simple! Thanks, Heather! Definitely simple! Enjoy! Those sounds really good, and with Thanksgiving coming up it would be a great time to make some for appetizers! Hi Justine! Yes, they're great for an appetizer! Thanks for stopping by! Oh my goodness!! These look yummy... like I want to make pasta just to have these!! Ooo! Great idea, Serena! I hope you try them soon! These breadsticks look delicious. I would love to try these soon. Those breadstick rings look so delicious. I'm going to make this asap. Yes, party perfect! Thanks, Charlotte! Thanks so much, Kasey! Enjoy! Having been raised in an Italian household, this really brings back memories. I love the crunch and savory flavor. 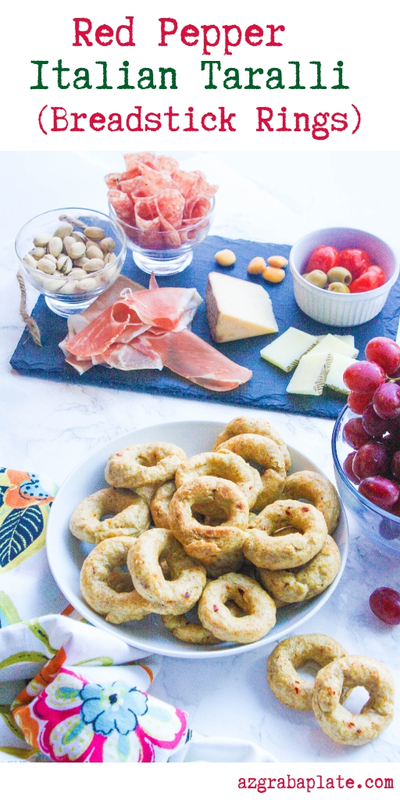 What a perfect addition to a charcuterie board! Thanks Vicky! It did the same for me! I hope you give these a try soon and enjoy! These look and sound like a dream! Delish!! hi.. i loved this recipe.. i would like to know is there any substitute for white wine.. because we dont take alcohol in any form. Please help me. Thanks for your sharing. I think you could use sparkling juice or maybe apple juice!